How is American food a celebration of multiculturalism? America is a dizzyingly diverse land, but if there’s one thing that brings its people together in a celebration of multiculturalism, it's American food. Food plays a major role in its multicultural communities, something that was made clear when we were given the opportunity to visit three of its most vibrant cities – New York, Miami and New Orleans. Each of these very different destinations has distinct cultural influences, experienced best through tasting the local cuisine. In the bustling streets of New York, we sampled the delicious international offerings of food carts serving up Greek, Egyptian, Trinidadian and Vietnamese delights. In Miami, we were treated to the tastes of Cuba and wider Caribbean influences, and in New Orleans it was European flavours fused with Creole and Cajun – a mix we’ve never experienced before, and likely never will again. The best part of a trip like this is being able to see and experience first-hand that each city of America, although part of one nation, has its own uniquely individual culture and traditions. The people are so passionate about their culture and history, and the generations of immigrants who have moved here have created a multicultural vibrancy around things like food and music that’s unmatched anywhere else in the world. We also got to experience activities that we would never usually do, such as a swamp tour in New Orleans, which opened our eyes to the diverse natural beauty of this land. But the true highlight of the trip was visiting the cultural communities within each city. From Chinatown and Little Italy in New York, to Little Havana in Miami, to Frenchmen Street in New Orleans, we found completely different cultural experiences, only a short plane ride away from each other. That right there is what America is all about. So what better way to dive into all this culture than through eating? When travelling, trying new foods showcases the rich history of cultures in a way sight-seeing can’t. It’s not just eating food; it’s the whole experience! You’re meeting the fascinating people who make it, who have made a life and created a home for themselves and their families in America. They each have their own stories, and food means so much to each of them. Food transcends all language barriers and differences in cultures and brings people together. There’s nothing more enriching when travelling than eating how the locals do! It’s these people who’ll shape those special travel memories that’ll last a lifetime. America has left a lasting imprint on our hearts… and our stomachs! Most of the films we love are set there and we’ve all seen its iconic cities on television, but nothing comes close to the feeling of tasting its food and meeting its people. We had some of the best pizza we’ve ever had, and a dumpling feast like no other. We tried the largest cubano sandwich in the world; you can’t even get it in Cuba! We also tried historic creole dishes like jambalaya and gumbo for the first time ever and can’t wait to make them for our families at home. Rochele & Saryne travelled to the USA on parts of the Grand Southern tour, in partnership with The Travel Project and Visit the USA, to discover how multiculturalism and decades of immigration have allowed the nation to develop into one of the foodiest countries on the planet. Fancy booking a USA food adventure all of your own? 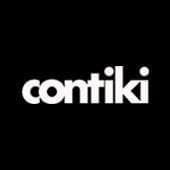 Head over to Contiki to discover what USA trips they have to offer.